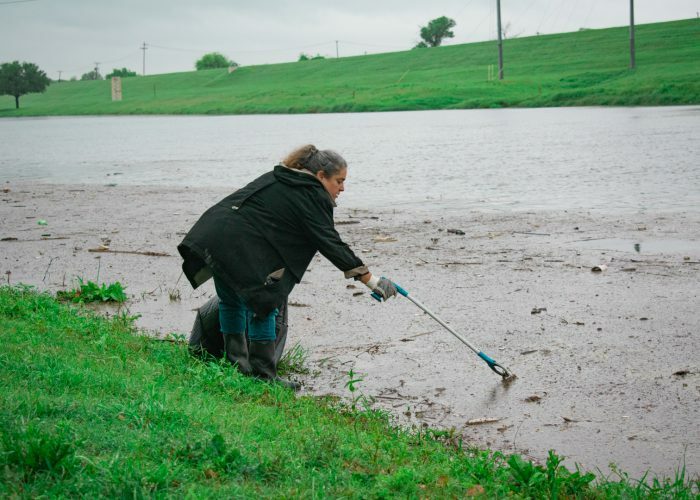 People trudge through the mud along a riverbank, trash bags in hand with the mission of making a difference in their community for the “Day of Service” April 13 on TR Campus. 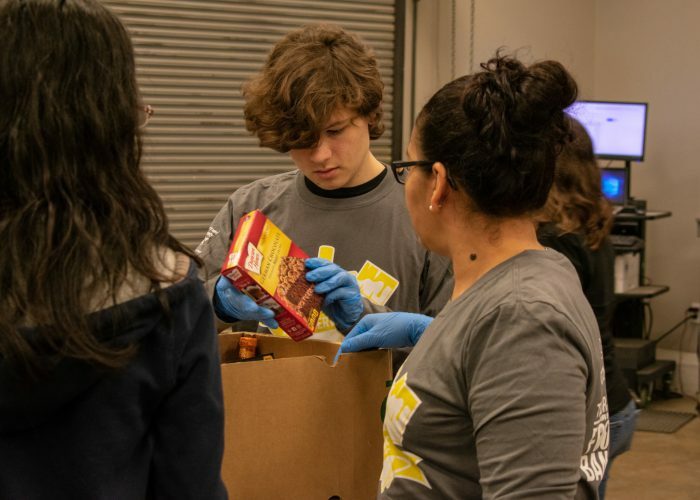 The “Day of Service” included community service projects like working at the Tarrant Area Food Bank, the Resale and Redesign Shop and cleaning up trash along the bank of the Trinity River among other opportunities. 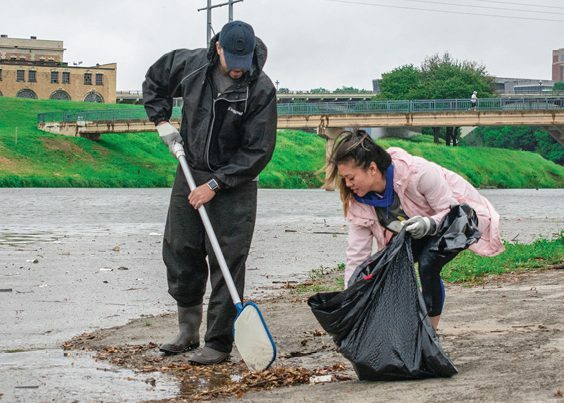 Castro signed up to use kayaks to clean up trash in the river, but due to the weather, they were not able to use them. 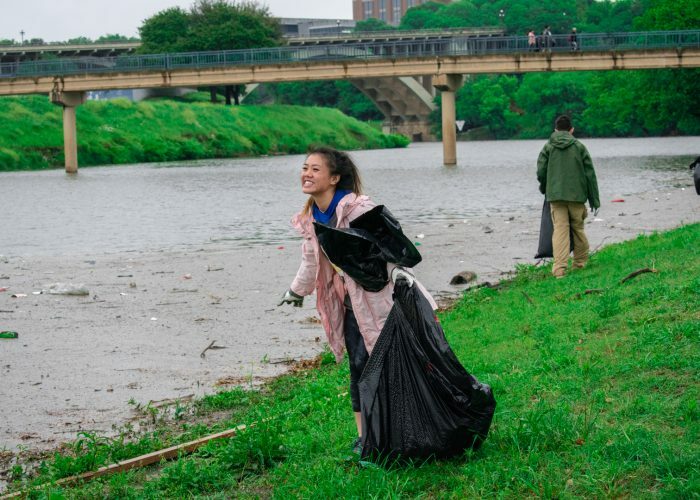 However, that did not stop the volunteers because they cleaned up trash along the river bank on foot instead. March for Babies was also canceled, so volunteers that signed up for it ended up helping with other projects instead. Hernandez signed up to work with the Parenting Center, which had volunteers put together allergy packages for health services to pass out to students on campus later in the week. 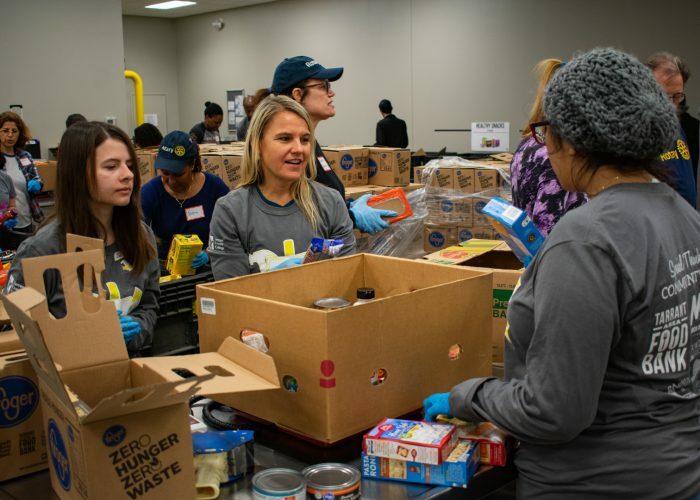 Some students were there because they were determined to get their community service hours, like TR student Carla Zenteno who helped organize clothes at the Resale and Redesign shop. 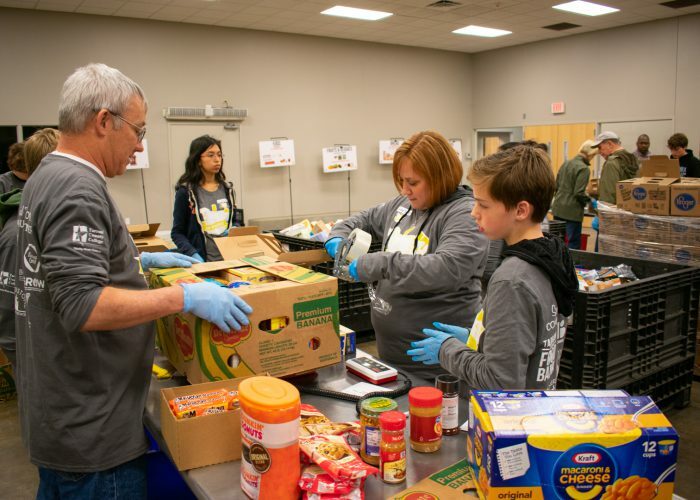 Volunteers were not just students either as faculty joined in as well. 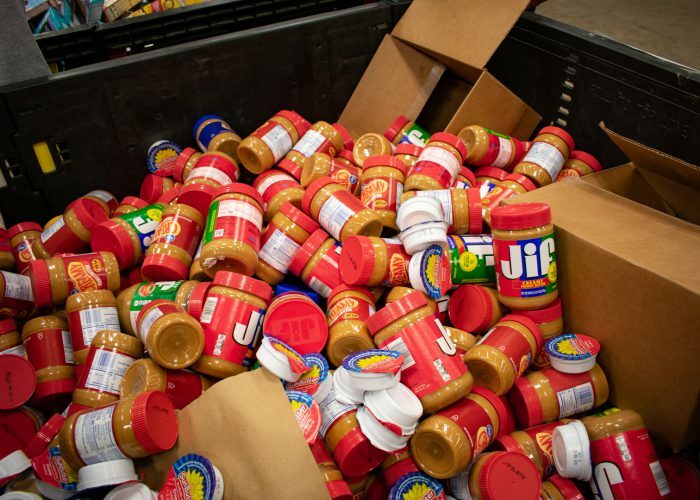 “It’s a way to get involved with the community and give back,” TR instructor Joyce Thompson said. 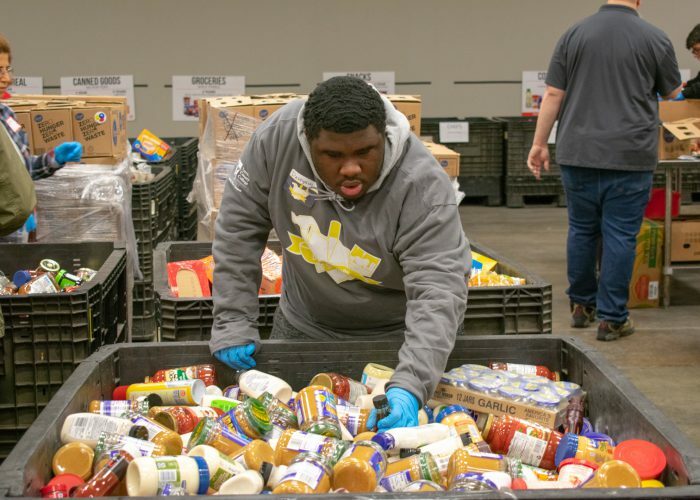 “Little ways add up to a lot, so if you can help for four hours today, that’s going to make a change in something for the community,” Thompson said. The event was organized by TR student services who were all present and making sure everyone knew where to go, what to do and that everyone had eaten some of the complimentary breakfast. Overall, they were happy with the turn out.